Unfortunately the "Panel Recruit: Me Time (Male 18-34 Only)" offer is no longer available. 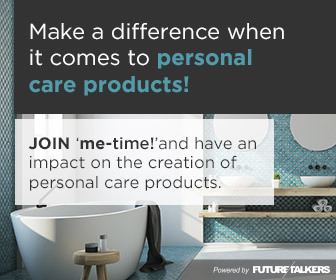 If you like to look after your hair and skin and enjoy expressing your opinions about products and services on online forums, blogs or social media, then join Me-time! Open to males 18-34 years of age only.